‘InterVisible’, Conference Research Poster by Eleanor Gates-Stuart, Chuong Nguyen and David Lovell. Abstract: “Usually, scientific images are conversations stoppers; Science art is a conversation starter” – Dr Matthew Morell, CSIRO Food Futures Flagship. This work highlights the complementarity of Science and Art. Our recent experiences have shown that Art can take Science to places and audiences that it could not otherwise reach. 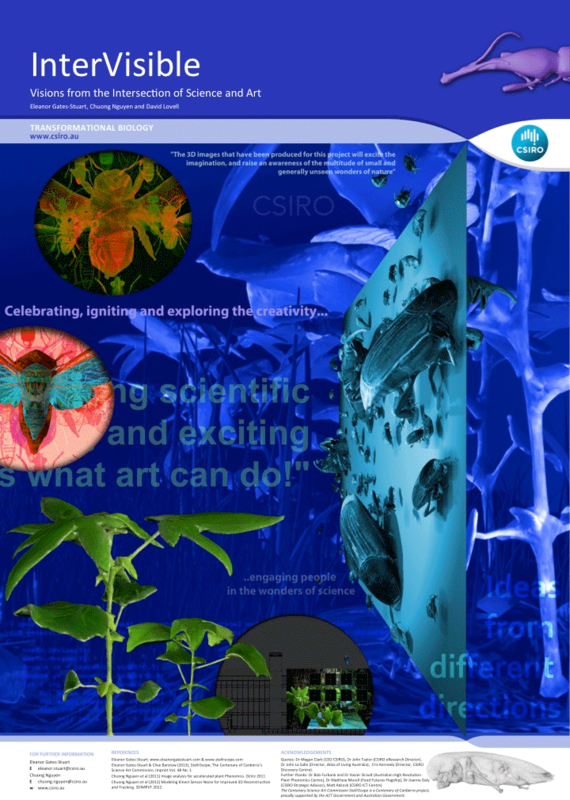 We believe that through, and with Art, CSIRO and other research organisations can engage a much broader audience and, in doing so, increase the impact of Science.